Back to Tesco’s, then. I’d like to point out that I don’t do all my shopping there, but I think they do have some genuinely good offers on at the minute. A couple of weeks ago Waitrose did, but it’s not then any more now is it. 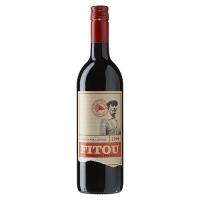 Anyway, here’s a very small picture of a very enjoyable wine, down to £4.99 for another couple of days. I’d like to think that I discovered viognier before it became the trendy grape variety. I remember a few years ago I was in South Africa with my wife and we visited a vineyard. When we did the obligatory tasting, the woman running it asked what white wines we liked. I said viognier was my current favourite and she almost fell over backwards. It turned out that she was also a big fan of the grape and she’d never met anyone else who was. So I’m officially a trendsetter. This is Australian and rather good. I’m not the first person to notice it – at the recent Decanter wine awards it won the Australian white single varietals trophy, which proves that a) there’s a prize for everything, and b) it’s not terrible. In fact, it’s really rather delicious. Absolutely bone dry, to the point of tasting salty, but with honeyed, herbacious aromas and a long, delicate, delightful aftertaste. A solid gold bargain at this price. I could drink a lot of this (over a period of time, of course, I’m not one for binge drinking).